Alasdair Stewart rejoins Bentley as global marketing boss after a six-year absence. Bentley's sales and marketing chief Stuart McCullough has left the British ultraluxury brand, the company said today. He is succeeded by Alasdair Stewart, who moves from his role as sales and marketing boss at the Bugatti supercar brand. Bentley said McCullough had left the business by mutual consent. 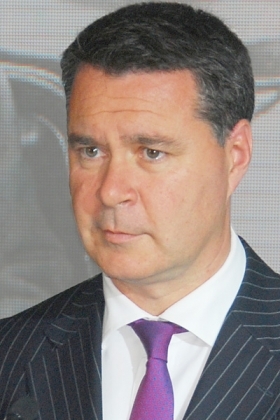 McCullough joined Bentley in 2006 from Lexus where he was director of the Toyota luxury brand in Europe. London-born Stewart, 46, rejoins Bentley after a six-year absence, during which time he had various roles within the Volkswagen Group, which owns Bentley and Bugatti. Stewart joined Rolls-Royce Bentley Motor Cars in 1994, following an early career in the automotive sector, which included time with Toyota. He served as regional director for Bentley North America between 1998 and 2004. On returning to Europe, he was given responsibility for marketing strategy for VW's luxury brands, before moving to Bugatti in 2005. Stewart took up his new post on Sept. 1 and will oversee all Bentley's sales and marketing activities, including marketing, branded goods and global sales and after-sales including relations with Bentley's global dealer network.